The Chairman of The United States’ Securities and Exchange Commission, Jay Clayton was on CNBC two days ago and talked about the subject of Initial Coin Offerings. The financial watchdog had been very vocal this year when it comes to digital assets and the latest speech from the Chairman reiterates the same main ideas we already knew. Recent actions further emphasize that our securities laws do apply to the ICO space. 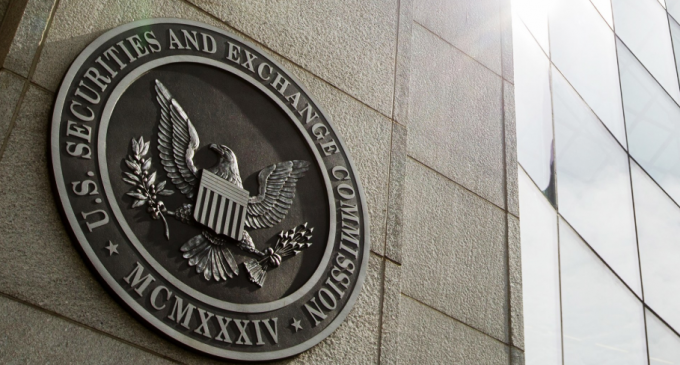 If people want to raise money using Initial Coin Offerings, they either must do so in a private placement, or they have to register with the SEC…We’ve had no ICOs registered with the Securities and Exchange Commission. The SEC had recently taken action against two ICOs which are now forced to give back money to investors. Despite this tougher stance backed by concrete actions against ICOs that fall under the securities laws, we can conclude that the agency does not want to block all these operations, it only wants to have them compliant, if the laws apply. Unfortunately, the laws apply to a vast majority of the ICOs, since most of them have conducted public offerings. Although crypto enthusiasts expected all the summer a green light from the SEC in terms of Bitcoin ETFs, according to the latest SEC’s Chairman speech, the situation does not change at all. Jay Clayton declined to provide any detail about the timing and possible future decisions from the agency. Issues like pricing and custody remain of concerns for the SEC and until we won’t see any significant improvement with that respect, Bitcoin ETFs will be postponed. Keep in mind that we don’t have strong regulation for exchange operators, not in the US and not at a global scale, also. The lack of regulation continues to be a strong drag on the industry and developments seem to take much longer than expected, in the Western world. We have countries like Thailand, Malta, and France, which had made significant progress, but we still have many others with a lot of work to do. How the SEC is Helping ICO Investors? Airdrops and ICOs – what is this?